A Fortieth-Day Divine Liturgy will be held on Sunday, April 28, 2019 at 11:00 am at Saint Charbel Parish Ottawa, Maronite Catholic Church, 245 Donald St. Cherished son of the late Fayez Fares and Marie Saleh Fares of Lebanon. Beloved husband of Jamal Isaac Adoum Fares of Lebanon. Loving father of Mira-Nour, Pierrette and Jade, all of Lebanon. 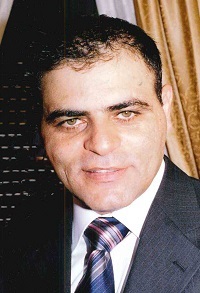 Caring brother of Georgette El-Sayegh (Chawki) of Ottawa; Sammy (Ekhlas), Georges (Roula), Nadim (Janette), Najla Isakof (Nicholas), and Huguette Saad (Tony), all of Lebanon. Much adored uncle of Renee and Patrick El-Sayegh of Ottawa and 14 other nieces and nephews, of Lebanon. Dear cousin of Nehmatallah Fares (Zakia) of Ottawa. Passed away unexpectedly in Lebanon on Sunday, March 24, 2019 at the age of 48.